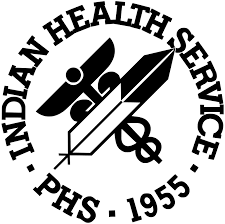 Bush Fellow Jana Gipp ~ News Chat ~ Matt Reviews "Us"
Friday, March 29, 2019 – We visit with 2019 Bush Fellow Jana Gipp, chief executive officer of the health care facility that serves the Native population within the Standing Rock Nation and surrounding communities. As health disparities persist in the population she serves, and as her rural community faces a shortage of medical professionals, she wants to incorporate innovative ideas and cultural practices to improve Standing Rock’s health care system. ~~~ A Plains Folk essay from NDSU professor of history Tom Isern: “High and Dry at Mt. Pisa.” ~~~ Dave Thompson joins us for our weekly news chat. ~~~ Matt Olien reviews “Us,” the new horror film from director Jordan Peele.